The Malaysian Anti-Corruption Commission (MACC) should probe the ballooning cost of the proposed undersea tunnel and the related road projects under the Penang Transportation Master Plan (PTMP), according to Gerakan state liaison committee member H’ng Khoon Leng. In a report by The Star, he said the MACC should look into the RM305 million cost of the feasibility study for the development and the alleged increase in the project’s overall cost from RM4 billion to RM6.3 billion. “It is absurd that the project was awarded before the feasibility study was made,” he said. H’ng also questioned how the estimated total cost soared in just a year from the RM4.08 billion announced a year before the development was awarded. 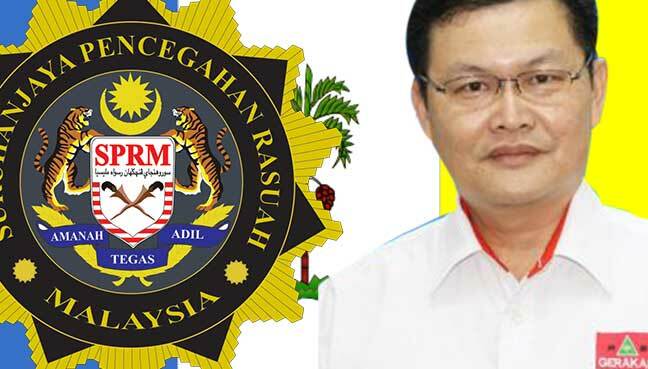 Although the Penang Gerakan is happy that the MACC has decided to supervise and monitor the PTMP, he urged the body to spare no detail when looking into the massive project. “Supervision and monitoring by the MACC must be exhaustive and extensive in all aspects of this mega infrastructural project including all the related land reclamation deals. “Superficial supervision and monitoring by MACC would make the anti-corruption commission complicit if it failed to detect and prevent corruption in this mega project,” he explained. The state authorities should also not exonerate themselves from full accountability and transparency despite the monitoring by the MACC, added H’ng.